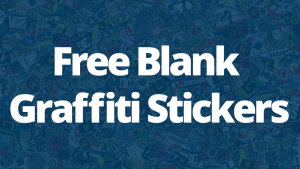 Best Graffiti Gloves: What Are Your Options? What’re the differences? I didn’t know either. I had to Google it. I put together a short list of notes for you guys, here’s what I found. 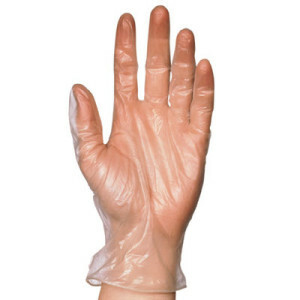 If you’re looking for a disposable glove, then latex is a great choice. They’re cheap, elastic, strong, fit like a second skin, and are biodegradable since they’re made out of a natural rubber. If you’re considering these gloves, I am assuming you don’t have an allergy to latex. I think that’s the one and only reason I would recommend nitrile over latex. Latex gloves (also called surgical gloves) are available from some pharmacies locally, but they are freely available online, and a box of 100 can be found dirt cheap. One of the key strengths of latex gloves (nitrile too) is that they’re disposable. If you end up having to skip out on your piece, or don’t want them on for whatever reason, you can take them off and ditch them easily. If you dislike latex for whatever reason, nitrile gloves are a great option. They’re puncture resistant, they’re comfortable and offer great sensitivity, they have a long shelf life (longer than latex, I’d think). 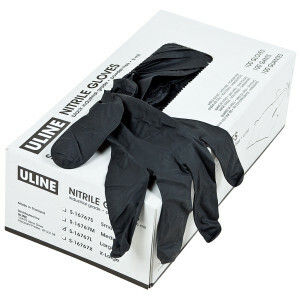 Nitrile gloves are available in blue and black – obviously we recommend the black ones. You can pick up a box of 100 on the cheap, keeping you and your crew mates stocked up for a lot of nights. Easy to put on, and easy to ditch. If you know someone who works in the dental industry, they probably have nitrile gloves at their disposal. Otherwise, they’re available on Amazon in black for a really good price. By far the easiest option to cross off your list, these loose plastic gloves you might see someone picking up trash, or eating fried chicken with are a terrible choice for graffiti. They tear easily and once wet with paint become super slippery, inside and out. These are by far the worst option available. Do not buy plastic graffiti gloves. 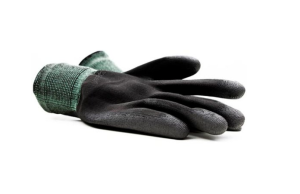 Polyester gloves come with a coating of poly-urethane on the palm. This gives you a really strong glove which fits nicely and doesn’t get too warm, when you wear it for an extended period. These gloves are rugged and will last you years. One pair of polyester gloves costs around the same as a box of 100 latex or nitrile gloves and it should last you longer. Montana makes their own brand, but I like a simple polyester glove on Amazon. So What Are The Best Graffiti Gloves? As much as I love the fact that you can dump disposable gloves on the fly, directly after a mission, whenever, I can’t vote against the Polyester gloves, here. Because of their durability I trust them in dirty places, around broken wood, glass, metal, etc. Bombing leads you to some shady spots and because of that, I like having some protection between myself and my surroundings. 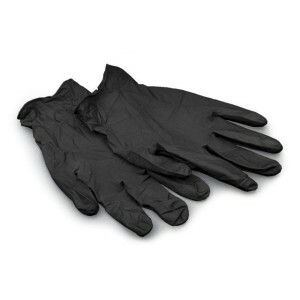 Buy Durable Polyester GlovesWe recommend these polyurethane coated polyester gloves. P.S. I tend to have a few latex gloves lying around all the time anyway, so it’s not a bad idea to put one of each in your cart before checking out. What glove do you use? Leave a comment, share your knowledge! Family Dollar has the poly gloves for $2.50 each and molotow has them for about the same price! Dope! Thanks for the heads up! Im a go with latex..thx for the article!